The Tuscan Blend was blended and roasted for you by Zoka Coffee Roasting Co. 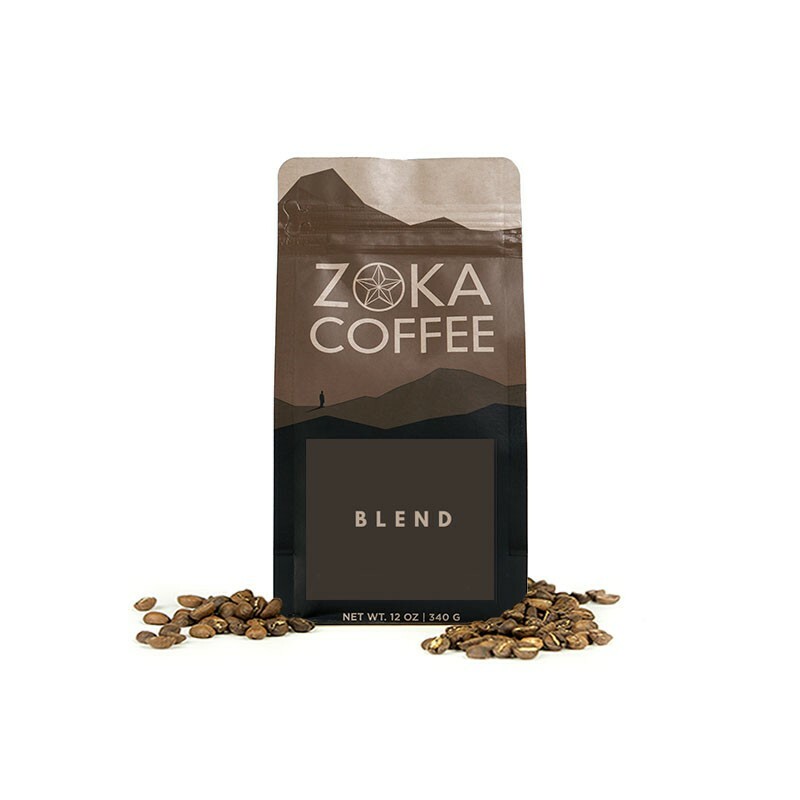 The Tuscan blend is Zoka’s nod to tradition. Though steeped in a history of smoky notes and rich flavors, this dark roast refreshes the past with a bit of the new. Specifically crafted to offer a heavy mouth feel and full body, the Tuscan carries with it a subtle sweetness of dark chocolate and smooth finish. No bitter after taste. Favorite coffee so far. I liked the flavor of this coffee, i might prefer something more smooth and nutty next time. As you know, I have been a member for a while now and have very much enjoyed my subscription. However, this last bag was horrible, bitter aftertaste. I hope my gift recipient did not get this one. This morning when I came in from running a few errands, I took in with me yesterday's Starbucks that was left in my cup holder rather than drink the rest of my cup of Zoka that was waiting for me in the house. That's when I knew I had to say something. Bold and complex but not bitter. Light smoke. This coffee was just OK. It was not as bold as I would have liked. The flavor was very plain Jane and simple. It did not have a bitter aftertaste. Not very memorable. this coffee was great! please send more! Dark, dirty, complex and holds up to a touch of creamer; updated 2/14-still love this coffee although the change in packaging is disappointing-new bag punctures and rips easily. Not bad, but didn't enjoy as much as Ladro Diablo or Evans Bros Big Timber. Too dark and bitter, not flavorful. After 2 years with Mistobox, this is one of my favorites. Deep notes of chocolate-covered coffee beans without acidity or bitterness. The perfect cup! Amazing coffee. One of our top favorites so far. Great, dark blend. Amazing aromas. Nice, full coffee. This is exactly the kind of coffee I like. 3.5 stars. Nutty. Not bad, but not great. Nice chocolate note. Nice smooth finish. So far, the best of the coffees I've been sent. This is an extraordinary coffee -- the very best I have tasted in 2017. Rich and complex and smoky in a way that I haven't tasted before. Too dark for me. Oily, almost charred and clogging up my grinder. Normally I like dark and smoky roasts, but this one seems too dark for me, at least first thing in the morning. It's a bit smoother in pour-over, but overall isn't doing it for me.